CES 2018 has witnessed lot of applications of Artificial Intelligence. We have picked few worth noticing. Sony presented it's latest version of Aibo robot dog - and it's cuter than ever. Sony says it relies on sophisticated sensors and AI programming. The Aibo senses its surroundings, and not just to avoid objects. The little puppy tries to mimic the movement and activities of a real dog. 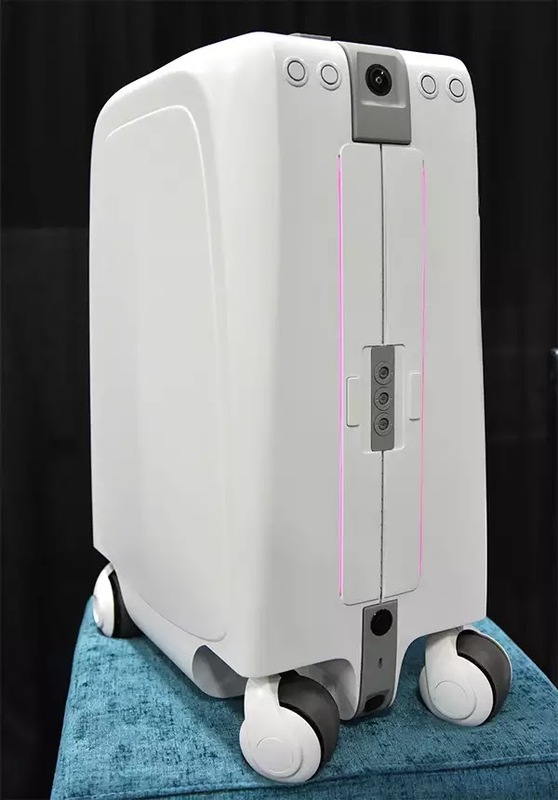 CES 2018 witnessed another funny, same time innovative product self driving travel bag CX-1 luanched by China’s ForwardX Robotics. It is first of kind for sure. Four-wheeled travel bag can automatically follows its user around the airports and other places. The smart bag uses cameras and AI(Artificial Intelligence) algorithm to avoid crashes.170-degree wide angle lens and built-in facial recognition software, which allow the device to follow you at up to 7 miles per hour throughout the terminal .Smart wrist band will notify if it gets too far away or when the battery power gets low. At CES 2018, Intel's artificial intelligence and Ferrari, announced partnership in creation and distribution of sports broadcast content , that involve aerial footage captured via drones, which will then be mixed and curated to create personalised feeds. Announced by Intel CEO Brian Krzanich during his CES 2018 keynote, the three-year partnership with Ferrari North America will see Intel AI tech including the Intel Xeon scalable platform and the Neon Framework used, along with aerial footage captured by Intel drones. Infrastructure cost inherent in deploying fixed cameras around each track throughout the race calendar is a huge amount.This can be made lot cheaper by using drones and then using AI on top of it.Multiple camera feeds from drones will stream this to a central source, with the AI then mixing and cutting the feeds together. 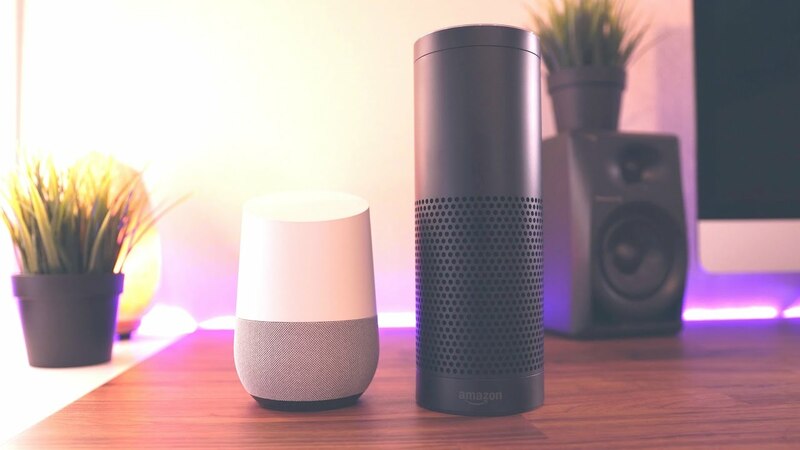 Amazon and Google presented their latest version of AI enabled voice assistance at CES 2018. Lot of smart speakers were presented at CES 2018. Currently Amazon Alexa and Google Assistant is open to other companies also. These enables them to come out with more innovative products. Chinese firm Byton presented their smart electric car at CES 2018 Las Vegas. Manufacturer has focused mainly on smart power rather than horsepower. It features a large touch screen covering entire dashboard area. Byton smart car comes with gesture control system.At launch, Byton says it will include Level 3 self-driving capability, which means the car can drive itself in many situations, but a human driver will have to take control for some. 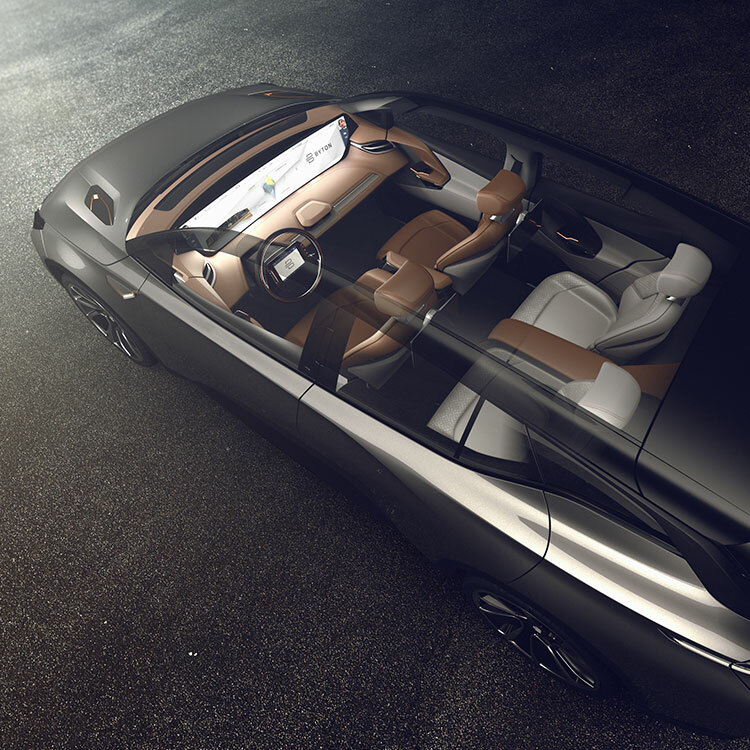 The car will be technically capable of Level 4 self-driving, which means it can handle all driving tasks, a feature that Byton can make available once government regulations permit.Artificial Intelligence is one of the main contributor in achieving autonomous drive. South Korean Automobile giant Hyundai introduced their 'Intelligent Personal Agent', a voice-enabled virtual assistant system at CES 2018 Las Vegas.Intelligent Personal Agent, co-developed with SoundHound, to be deployed in new models in 2019.System serves as a proactive assistant, predicting driver needs and facilitating vehicle functions.AI enabled Advanced technology can be optimized for future connected car data demands. A lot more AI supported products, especially wide range of robots were launched during CES 2018. The biggest tech on earth CES(Consumer Electronics Show) 2018 kick started on 9th January in Las Vegas. 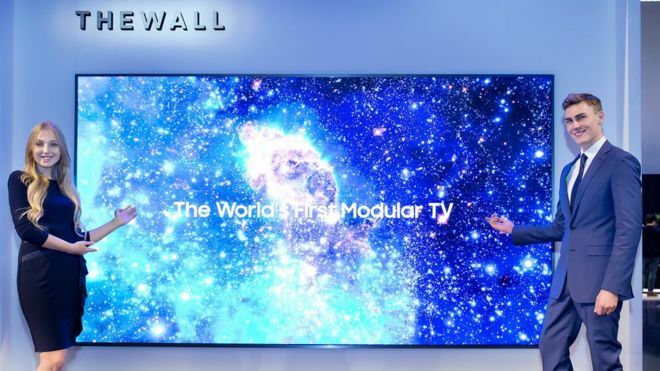 Tech enthusiasts have been keenly watching the new products and technologies unveiled at CES 2018 since it's launch.Many tech companies prefer to unveil their unique technologies and products in CES since it attracts higher media attention. 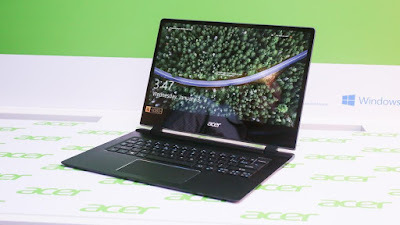 This year at CES show Taiwanese company Acer has come up with the launch of a bunch of new notebooks and gaming laptops. 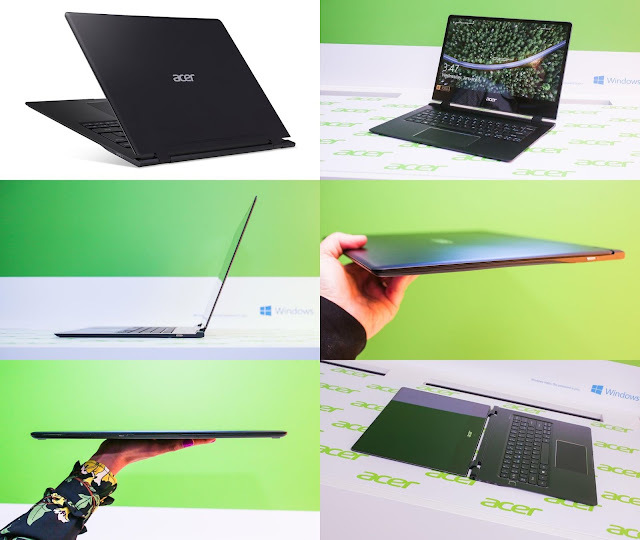 The company has launched the new Acer Swift 7, which is the touted to be the world's thinnest laptop.The ultra-skinny Swift 7 (SF714-51) looks extremely sleek and measures only 8.98mm .thick. Originally, the Swift 7 was debuted with a thickness of 9.98mm.This SF714-51 is an upgraded version of SF713. Ultrathin doesn’t mean compromising on capabilities.The CPU is powered by a 7th Gen Core-i7 processor, 8 GB RAM and blazing fast 256 SSD Hard disk drive.New Acer Swift 7 features 14-inch touchscreen with narrow bezels. It also has 4G LTE connectivity.Antenna is integrated into it's unibody. The notebook comes with a fingerprint reader and supports face detection through Windows Hello.Complete spec is as follows. Acer has also introduced three other laptop's at the CES 2018. Acer Spin 3 that has multiple modes,Acer Nitro 5 gaming laptop and new Blue-coloured Chromebook 11. CES 2018:What to expect from greatest tech show? CES 2018, Las Vegas,NV, United states Jan 9-12: Biggest Tech show , What to expect from the show? CES( Consumer Electronics Show)is an annual tech gathering organized by the Consumer Technology Association.Usually it is held in January at the Las Vegas Convention Center in Las Vegas, United States, the event typically hosts presentations of new products and technologies from the consumer electronics industry. THE GLOBAL STAGE FOR INNOVATION: CES is the world's gathering place for all those who thrive on the business of consumer technologies. It has served as the proving ground for innovators and breakthrough technologies for 50 years — the global stage where next-generation innovations are introduced to the marketplace. Owned and produced by the Consumer Technology Association (CTA), it attracts the world's business leaders and pioneering thinkers. The first CES was held in June 1967 in New York City.Since then it is one of the favourite venue for tech companies to unveil their new innovations and products. It has also served as a platform for star-ups to come into spotlight.This year show is scheduled on January 9-12 in Las Vegas. Who all will be the exibitors in CES 2018 Las Vegas? From tech powerhouses to innovative startups, companies big and small from all industries come to CES to introduce the latest innovation to the global market. Exhibitors feature products from all facets of tech, from audio, vehicle technology and wireless to drones, augmented and virtual reality, 3D printing, sensor tech and more. Manufacturers, developers and suppliers gather at CES to not only showcase game-changing technology to the world, but to also build strong business relationships with new and existing industries. Almost every global industry and business sector depends on or is engaged in technology in some way. You’ll find them all at CES. Industry leaders from the entire tech ecosystem attend to discover and experience the latest trends and network with peers. CES draws the global technology industry and leaders from other business sectors from 150 countries including Fortune 500 executives, manufacturers, retailers, corporate buyers, content producers, entertainment executives, venture capitalists, engineers, government officials, installers, advertising and marketing executives, financial analysts and the media from every corner of the globe. What to expect at this year’s shows? What can you expect to see at the CES 2018 show?We have picked 10 categories that may witness some exciting innovations. 10.Wearables:Wearables have not made any noticeable process during 2017. Companies couldn't satisfy comsumer expectations. So lets expect some start-ups to come with some innovations that are useful to buyers. 9.Smart Home devices:Devices like Google Home and amazon echo got a wider acceptance than expected. To style your home into a smart area many IoT devices are available in market. They help you to secure your home,clean your floor, manage other home appliances, baby sitting etc.. In a busy world like ours, such devices will get a wider market. So, companies will love to roll out new and innovative products for home automation and assistance. 8.Personal computer and laptops:You can expect plenty of personal computing devices' launch.Manufactures are concentrating on low-power, super- efficient devices with higher computing power and sleek design. 7.5G. First of all,concept of 5G is not well defined. 5G envisages a network of different type of smart devices. We can expect few things from this category also. 6.Smart phones:For past 10-15 years CES has witnessed lot of smartphone presentation. This year also global giants and some newbies are expected to present their latest devices in the show. Samsung lovers are expecting Samsung's next Galaxy series phone Galaxy S9 to be launched in the show. 5.Rollable & flexible displays: Display technology is evolving faster. 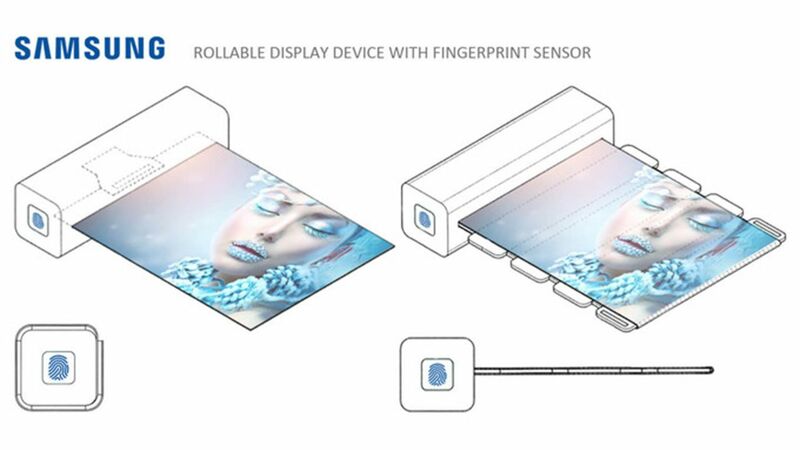 Already many companies have come up with their own versions of rollable or flexible displays. although commercial products are very few in this category, companies may showcase their innovations in flexible and rollable display. LG has already unveiled their 7 feet bendable displays recently. Smartphone lovers are eagerly waiting for a device with foldable or bendable displays. Although Samsung has unveiled its first smartphone with bendable display in CES 2013, they are delaying it's commercial launch for some or other reason. 4.health care equipment: Healthcare is one of the favourite field for investors nowadays. Since technology has taken over everything, health care with the help of smart devices is a common thing for people around the world. This products have a huge market around the globe. 3.Virtual reality and Augmented Reality:Companies from this category is also expected to make some announcements regarding their new products or an upgrade to existing products. 2. Electric & Self-driving cars:Electric vehicles are need of the hour. To tackle pollution and depleting oil reserves force many countries to switch to electric vehicle. Few European countries like Britain and France have already announced their plan. Self-driving autonomous vehicle technology has also made certain progress in recent years. With the help of AI and improved sensors, autonomous vehicles will hit the road soon. Companies like Google and Tesla are expected to showcase their new latest versions of autonomous vehicles in CES 2018 Las Vegas. 1.Artificial Intelligence and machine learning:AI is decides the future of humanity. Next decade will witness a boon in AI and Machine learning. In Coming years machines will take over many of our jobs. So, this is the main category that anyone need to pay attention in CES 2018. Though AI is in it's amateur state, it has made great progress in last few years. Nowadays many tech companies are spending lot of manpower and capital in AI and machine learning R&D. Lot of AI startups are sprouting around the word. Some of them have managed to gain attention through their inovative ideas. Many other exciting products and technologies might be unveiled at the show. Stay tuned .. We will bring you latest news from CES 2018 .